Suspended Acoustical Ceiling have become an essential part of modern structures - Vibration & Sound waves emanating from the rest of the building are prevented from reaching the Acoustical Ceiling. Hanger Mounts prevent many installation errors by permitting degree of freedom of movement of piping thus frequently eliminating the need of Flexible Hose Connections. Featuring precision construction finish, these Rubber Hanger Mount choices provide for efficient operation support as well as low cost operation support. 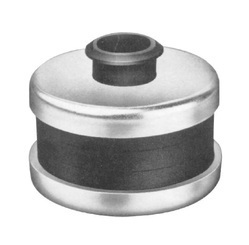 Offering desired isolation, these rubber mountings can be offered by us in choice of single/double deflection and are also suitable for use in non-critical applications. 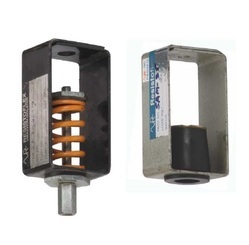 Some of the standard features of these mounts include suitable for critical applications, option of rubber mount according to equipment's weight and machine's rpm, offering rubber mount as per static deflection required and others. We can also custom develop these as per the specifications provided by the customers. 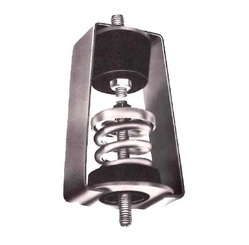 We are offering an excellent quality of Open Spring Hanger Mount. Most economical solution for suspension from a ceiling and mounting on the floor. Acoustic inserts for high-frequency Noise attenuation. Colour coated springs for easy identification. 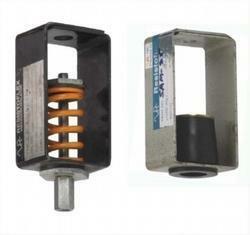 Spring and Rubber Composite Hanger Mountings provide excellent attenuation of higher audible sound. It is capable of taking up to 30°C misalignment thus preventing drop-rod from contacting hanger frame. 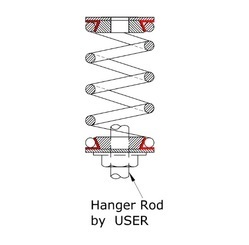 Resilient Hanger Mounting consist of a resilient rubber mount held between two plated steel caps for uniform distribution of load. It has an integral extended rubber sleeve which prevents direct metal-to-metal contact & thereby minimising transmission of noise & vibration.